In Italian, the word "prima" means first, so it's natural that the word inspired by the name of the Wenko 152249100 Prima Blue Toilet Seat, which is a truly first-rate design. 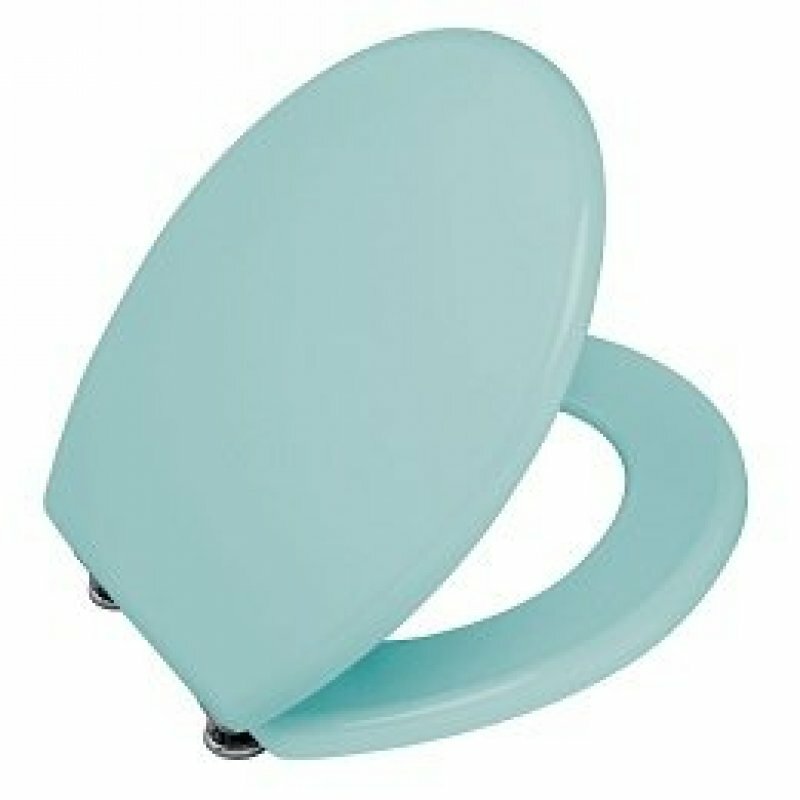 This luxury quality toilet seat has a beautiful blue colour with a touch of green that makes it truly stand out. This hue is perfect for complementing white, grey, navy, brown, black, yellow and green hues in a colour palette, making it a versatile design solution for modern homes. The colour is even all the way along the sleek toilet seat, and there is a touch of shine to the hue that makes the accessory truly breath-taking. 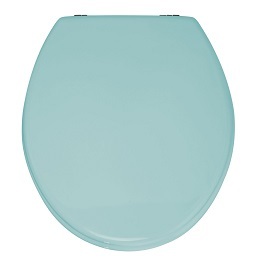 The Wenko 152249100 Prima Blue Toilet Seat is built to last for years out of heavy-duty MDF. The material has the appeal of hardwood but is less expensive and harder wearing than the natural material. 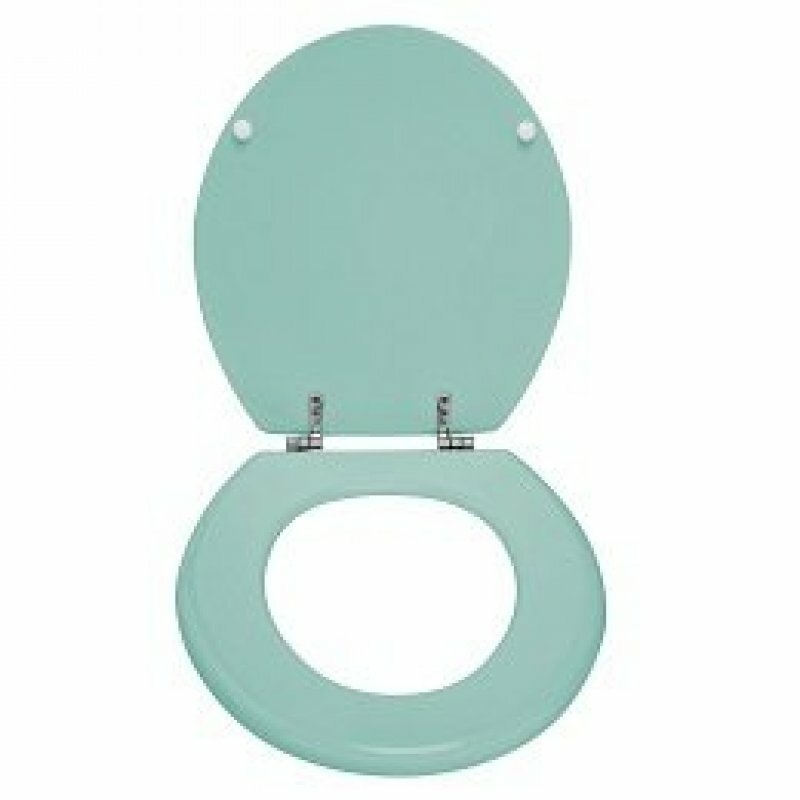 Layers of an AZO-free clear coating enhance the durability of the MDF even more, allowing the toilet seat to be resistant to moisture and to microbes. The finish also makes the lid and the ring simple to clean, so that maintenance is a quick and easy task. The rustproof chrome-plated metal fixings adjust to accommodate nearly all standard toilets.